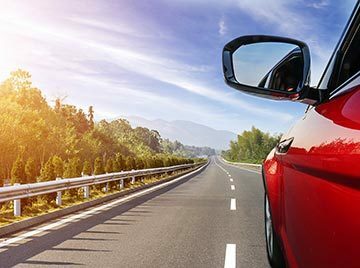 AAA Members save up to 20% off base rates at the airport and at a Hertz Local Edition® location near you, when you include your designated AAA discount code (CDP#) in your reservation. Your CDP has been added; please continue with your reservation details. Enter your zip code above to apply the AAA promotional offer to your reservation, select a Hertz location near you and start saving. Additional driver fee waived to AAA Members. Free use of one child safety seat. Young renters fee waived for AAA Members ages 20-24. Special Daily rate of $6.99 per day for Neverlost® navigation system. 50% off SiriusXM® satellite radio. Not an AAA Member? Join today. *Advance reservations required and must include your AAA CDP#. Base Rate includes time and mileage charges only. Taxes, tax reimbursement, age differential charges, fees, surcharges and optional service charges, such as refueling, are not included Benefits and discounts are redeemable at participating Hertz locations in the United States and Canada. Hertz age, driver, credit and qualifying rate restrictions for the renting location apply. At the time of rental, present your AAA Membership card or Hertz/AAA discount card for identification.